Why Would You Need a Temporary Crown? A temporary crown is a provisional, short-term restoration cemented in place with a soft temporary dental cement until the definitive restoration is completed. Partially restores aesthetics by disguising the prepared teeth to some degree. This is especially important if teeth are located in visible parts of the mouth. Protects the prepared teeth (for example from temperature variations) and prevents damage to the periodontal tissues (gums). Partially restores the chewing function. Temporary crowns are usually constructed from plastic-like materials (acrylic) or composite resins. These crowns don't need any metal frame because they have a short life-span. It is possible to manufacture temporary crowns from stainless steel or aluminium. Usually, these types are prefabricated. If fabricated from acrylic resins or composite, temporary crowns have a close color to the adjacent teeth and low resistance to chewing. There is no need for a high resistance because they stay in place only for a short time. How are temporary crowns manufactured ? The temporary crown material is shaped by the dentist to form a tooth shape. For this operation, the dentist uses a specific crown kit. The crown kit contains prefabricated crown forms for incisors, canines, premolars and molars. These crown forms are manufactured from various materials : polycarbonate, acrylic, transparent plastic and sometimes aluminium. After tooth preparation, the dentist selects from the kit a crown form that best fits the prepared tooth. The crown form is adjusted on the prepared tooth. The temporary crown material is placed inside the crown. Usually, this material is supplied together with the crown kit. The material has several shades and a relatively short curing time. The crown form with the temporary material inside is repositioned on the prepared tooth. 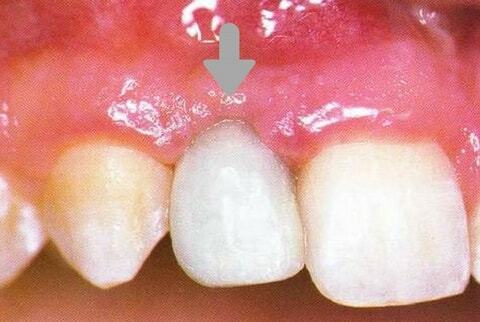 The temporary crown is shaped between the inside walls of the crown form and the outside walls of the prepared tooth. 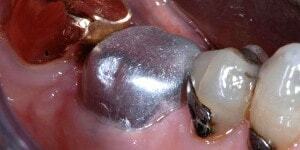 After temporary material sets, the crown is removed from the tooth and the temporary material (which by now is hardened) is removed from the crown form. Further adjustments can be made if necessary. The temporary crown is adjusted to fit in the bite. At the end, the final polish is performed. The crown is cemented in place with a soft temporary cement. This allows for easy removal when fitting the definitive restoration. This method involves the dental laboratory. The crown is manufactured by the dental technician and sent to the dental office for temporary cementation. After teeth preparation, the dentist makes a dental impression. It is possible to make an additional impression for the temporary crown but more often the same impression is used. The impression is sent to the dental lab. The technician pours fluid gypsum inside the impression to create the dental cast. Then, according to the instructions received from the practice, the dental technician constructs the temporary crown on the dental cast. The crown can be constructed using various techniques some of them similar to the direct method described above (but performed by the dental technician on the dental cast). 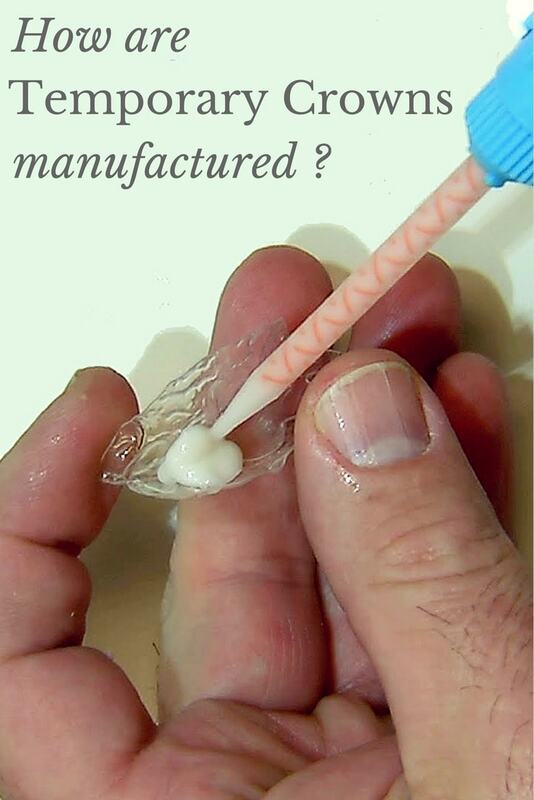 The materials used are dental acrylic or composite. After modelling is over, the crown is placed in specific processing units for polymerization. At the end, the technician polishes the crown for a smooth surface. The whole process takes 1-2 hours, so the temporary crown can be fixed during the same day. Besides temporary crowns, other types of temporary restorations can be manufactured. 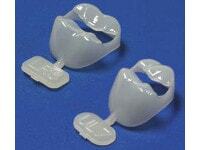 Temporary bridges : indicated in cases with extended restorations but they are rarely used. Usually, in such situations, temporary crowns are constructed on all abutment teeth. If aesthetic demands are high and it is estimated that the restoration will require a longer time to completion, provisional removable dentures are preferred. 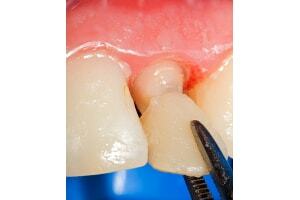 Provisional removable dentures: are constructed when large restorations require a long period of execution. For example, in case of dental implants the time that is needed may be up to 6 months. After the medical examination, the dentist will consult with the patient to determine the exact type of temporary restoration that will be manufactured.